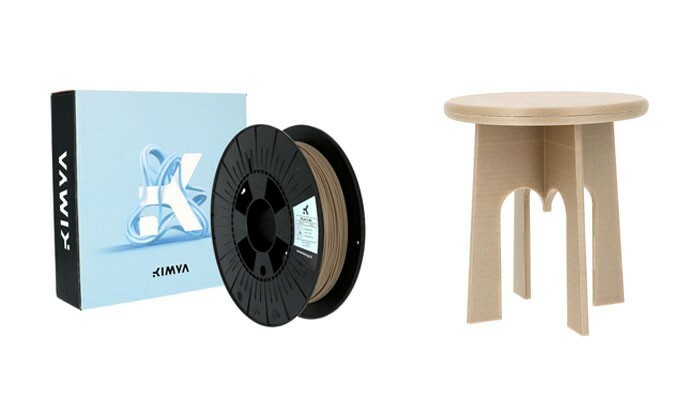 2018 was marked by our brand change, but we also announced numerous new 3D printing materials, whether technical filaments or more conventional filaments based on PLA or ABS. At Kimya, we never stop innovating and offering solutions to meet industrial needs. That’s why we wanted to provide a quick reminder of all the Kimya materials available today. We will soon be announcing the launch of two new products! 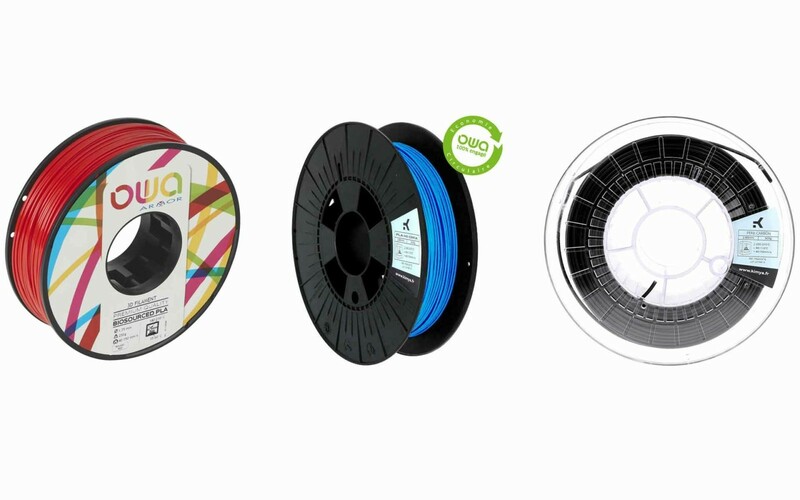 In the meantime, here is a brief summary to help you select your 3D printing filament. 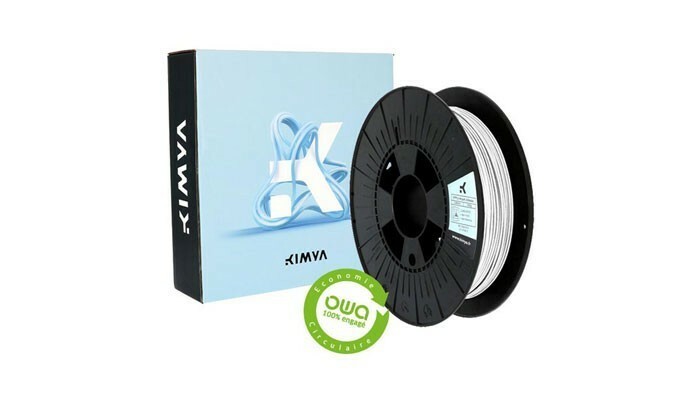 PLA is undoubtedly one of the most widely used plastics for manufacturing 3D printing filaments. It’s a biosourced material that’s easy to print with; it doesn’t require a heating plate and gives off no smell. However, it has certain limits, such as a degree of sensitivity to moisture and UV rays, but also to heat, since it cannot withstand an environment above 60°C. Our PLA-S OWA, compatible with food, has a shiny appearance and is available in numerous colours (red, yellow, orange, pink, etc.). This filament is biodegradable. Our PLA-HI OWA has high impact resistance, four times greater than PLA-S.
Our PLA-LIN has a natural appearance and better durability due to the inclusion of linen fibres. It is biosourced and used mainly in architecture, decoration and industry. Acrylonitrile Butadiene Styrene (ABS) is also a plastic used widely in 3D printing; it offers better impact resistance compared to PLA. However, it must also be said that it still presents problems of warping and shrinkage, and adheres poorly to the printing plate. That’s why Kimya wanted to reinforce it with carbon and aramid fibres, so creating its new range. 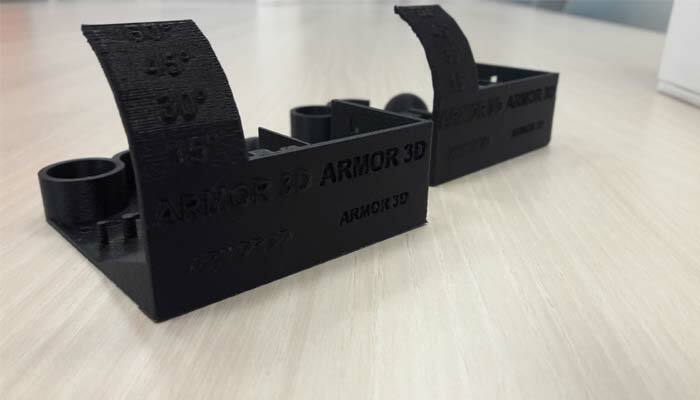 ABS Carbon: by adding carbon fibre, our filament has practically eliminated this warping phenomenon. The parts produced are less fragile while also being lighter. The mechanical properties are improved, particularly tensile strength. However, care must be taken over the nozzle temperature used: ABS Carbon does not withstand more than 100°C. ABS Kevlar: adding aramid fibre improves the warping phenomenon. Printed parts are also lighter and offer enhanced precision. However, we note that ABS Kevlar is very sensitive to UV and exterior bad weather. Polyethylene terephthalate (PET) is a plastic used by Kimya for its range of PETG-based filaments. A glycol has been added during polymerisation to reduce the brittle aspect of PET. Among its advantages, PETG offers good chemical resistance, low shrinkage and good dimensional stability. This material is also recyclable and less UV-sensitive. By adding glycol, it becomes more impact-resistant and durable. It can also be sterilised and is easier to use. 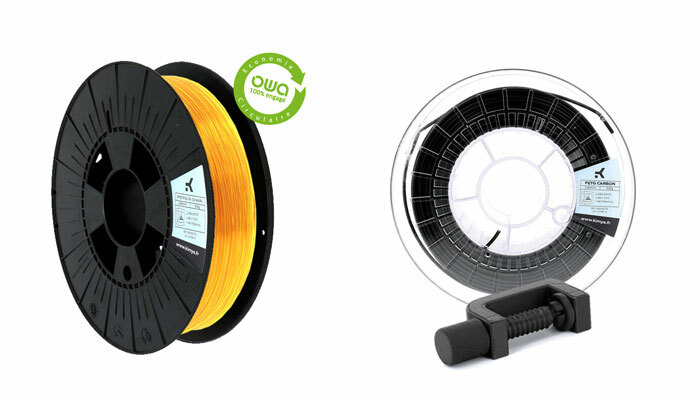 PETG-S OWA: compatible for food contact and transparent. It is found mainly in medicine, design, cosmetics and the food sector. It also displays good adhesion between layers. PETG Carbon: it has been blended with carbon fibres to strengthen the final material. It is more rigid while remaining lightweight. 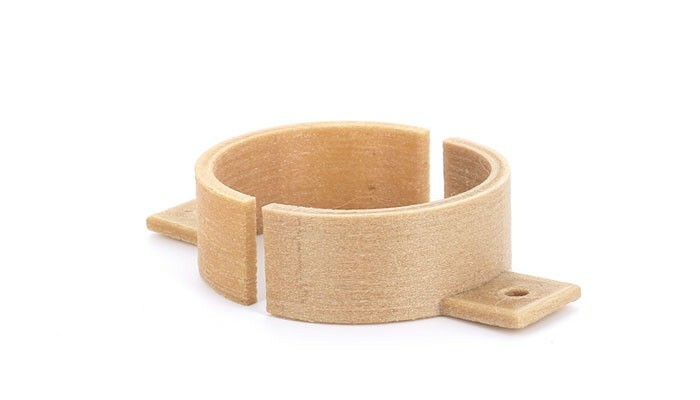 With its reinforced mechanical properties, this filament is used mainly in industry. TPU-92A OWA is our filament belonging to the family of thermoplastic elastomers (TPE). It has good resistance to solvents, but also impacts. This material is also very flexible: it can withstand folding and tearing. It can also be stretched up to 350% of its initial size before breaking. Finally, it has a shiny appearance and is available in several bright colours. Among the sectors where this material is found, we can list automotive, electronics, consumer goods or even sports equipment. Polyaryletherketones are a family of semi-crystalline thermoplastic polymers – highly rigid, resistant to chemicals and quite lightweight. They are also very resistant to heat and abrasion. Our PEKK Carbon filament belongs to this polymer family. It is a pseudo-amorphous semi-crystalline thermoplastic containing carbon to boost its mechanical properties. The material offers good inter-layer adhesion and good visual aspect. It also reduces the effects of warping. However, it’s worth noting that this material is compatible with high performance 3D printers. This filament forms part of the thermoplastic polyetherimide family, high heat-resistant polymers. PEI-1010 Kimya is less viscous, offers good dimensional stability and is more accessible in price terms compared to our PAEK-based range. If you’re looking for a 3D printing filament, contact our sales team at once if you need any help selecting the right material!